A six-part series celebrating Betty Boop from her first screen appearance in the 1930's to her continuing status as a cultural icon and into the future. Betty Boop in her first film, "Dizzy Dishes"
Betty was just a bit player when she made her first film appearance in "Dizzy Dishes," part of the Fleischer's Talkartoon series starring the then very popular Bimbo character. Betty played a nightclub singer who quickly captures the attention, and then heart, of one of the club’s waiters… Bimbo. Betty’s role was brief, but it was quickly apparent that she’d not only won over Bimbo, she’d won over audiences as well. The Fleischers responded quickly, featuring Betty in more films and in larger roles. It wasn’t long before Betty Boop surpassed Bimbo in popularity and, in 1932, became the star of her own Betty Boop series of films. 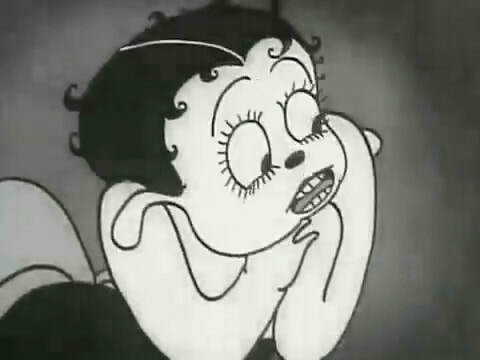 Although she started life with a few canine characteristics (having originally been created as a girlfriend for Bimbo, a dog), Betty is - from the moment she first graces the silver screen with her big, round eyes, her pin curls and of course her iconic singing style - clearly and without a doubt recognizable as our own beloved Betty Boop. While other animated female characters had graced the silver screen before her, they’d all been animals (like Minnie Mouse). 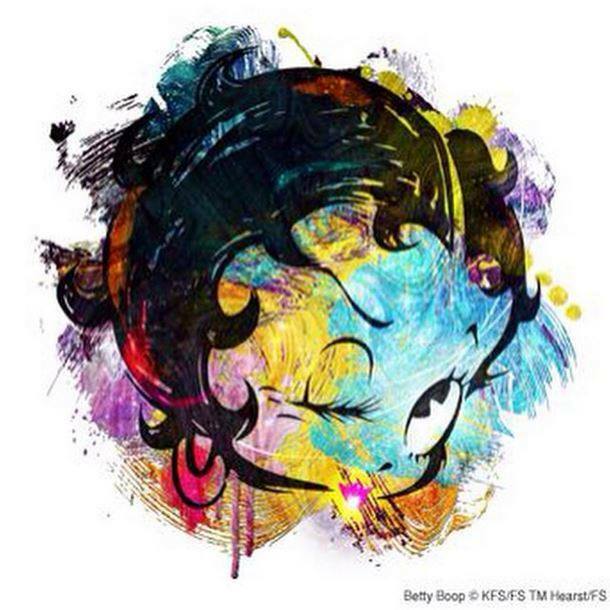 Betty Boop was the very first fully human, and very fully-female, animated film character. 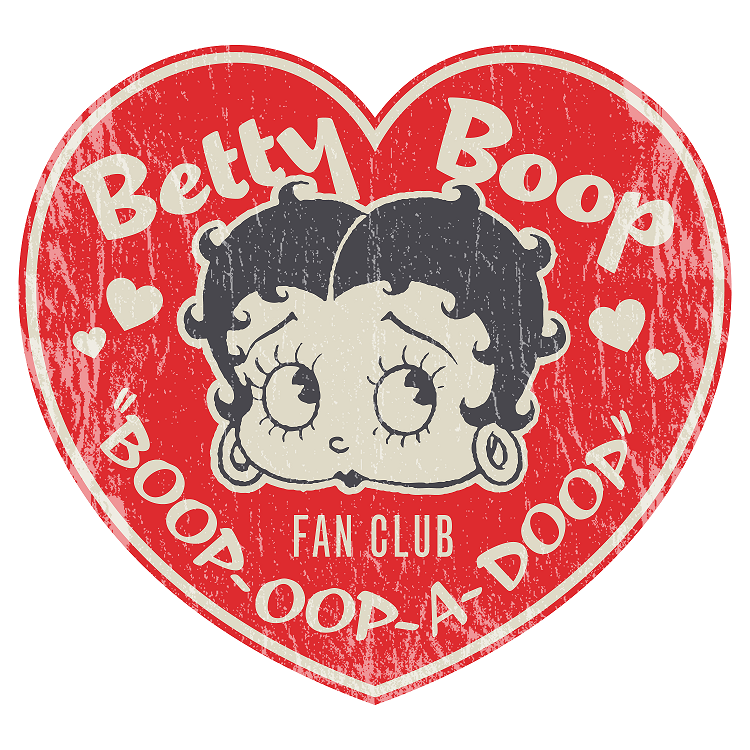 Of course, the most amazing thing about Betty Boop is that, even after all these years, we’re still in love with her! With her indomitable spirit, steadfast optimism and unfailing good will, Betty continues to win hearts, incite joy and inspire fans around the world. So all this month we’ll be celebrating Betty; from her first appearance as a saucy, dog-eared nightclub singer, to leading lady, to cultural icon. You may have noticed in the slide show (above right) that Bimbo's appearance changes quite a bit from film to film. One of the intriguing things about Bimbo is how completely his appearance seems to vary from picture to picture. In the early days of animation, the kind of visual consistency we expect today wasn’t considered very important so it's likely it wasn’t surprising to audiences that in one cartoon Bimbo might be a white dog, in another film a black dog. Historian Ray Pointer notes that Bimbo’s appearance continued to vary until 1931. The version of Bimbo that appeared in The Herring Murder Case became the standard and best known version of Bimbo: a short, round, black dog who behaved like a human. 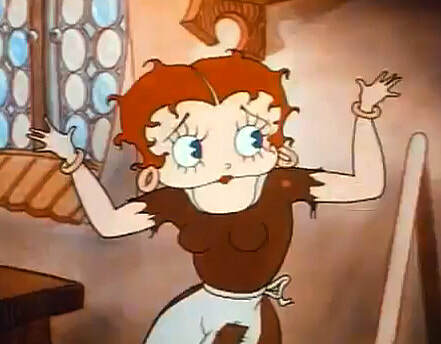 To fully appreciate the astonishing and meteoric nature of Betty’s rise to fame, consider the fact that in the early 1930s, the creation of a single six-to-seven minute cartoon involved about ninety artists and took about two months (and this doesn't even include the processing of the film or the occasional scheduling delays in actually getting the film released). 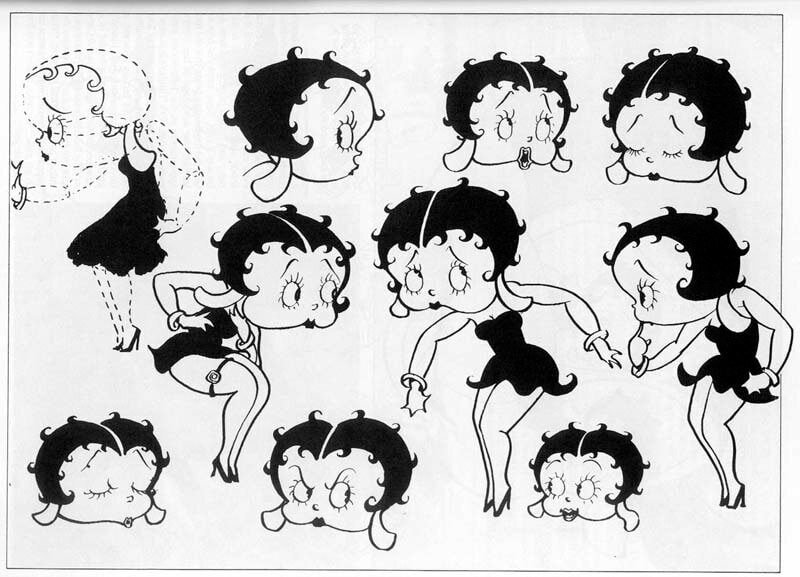 As an 1932 article from Film Daily (pictured right) points out, Betty offered audiences “something Brand New in cartoon characterization,” and they wanted more!